Where is all that water coming from? Homeowners are usually startled when they reach under the sink to grab something and find everything drenched in water. It’s often difficult to find the source of water leaks. The main consideration that gets overlooked is a possible garbage disposal leak. The following details will help you determine if the garbage disposal is the source of the leak in your house. Drain Pipe – The drain pipe is metal or plastic. It is responsible for draining food and water away to the sewer. Dishwasher Connection – The connection is a rubber hose that connects to the side of the garbage disposal. Sink Flange – The term “sink flange” might sound complex. However, it is quite simple and connects the top of the disposal to the bottom of the sink drain. Run the water – Run the water from the faucet and look underneath the sink to see if you can find the source of the leak. Usually, you can observe water leaking from parts of the disposal, the drain pipe or the dishwasher hose. Test the Sink Flange – Dry the sink flange and the outside of the garbage disposal. Next, put a water stopper or plug in the sink drain and fill the sink with water. Several inches of water should be good enough. Allow the water to sit in the sink for a few minutes. Then, check if there is any sign of water dripping from the sink flange. If it’s dry, you can feel confident that the sink flange is not the source of the water leak. If you have located the leak it is best to mark it with a piece of tape for easy locating later. Many homeowners enjoy doing DIY projects such as fixing water leaks in their kitchen. If you are familiar with fixing leaks it might be an easy task to complete. However, if you are not comfortable about fixing plumbing issues in your home, you should contact a professional immediately. Remember it’s better to be safe than sorry. Conducting a DIY plumbing project can cause more harm than good if you don’t know what you are doing. 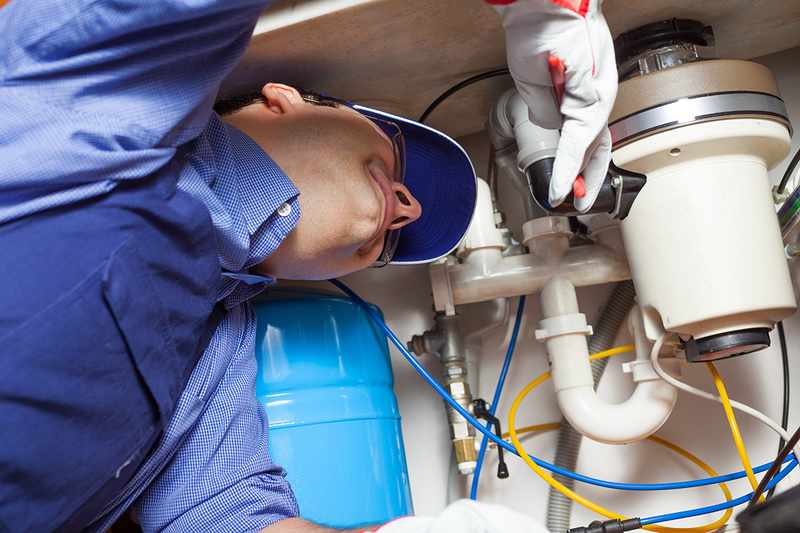 It is always best to hire a plumber for further assistance. They will confirm the source of the leak as well as provide options to fix it. 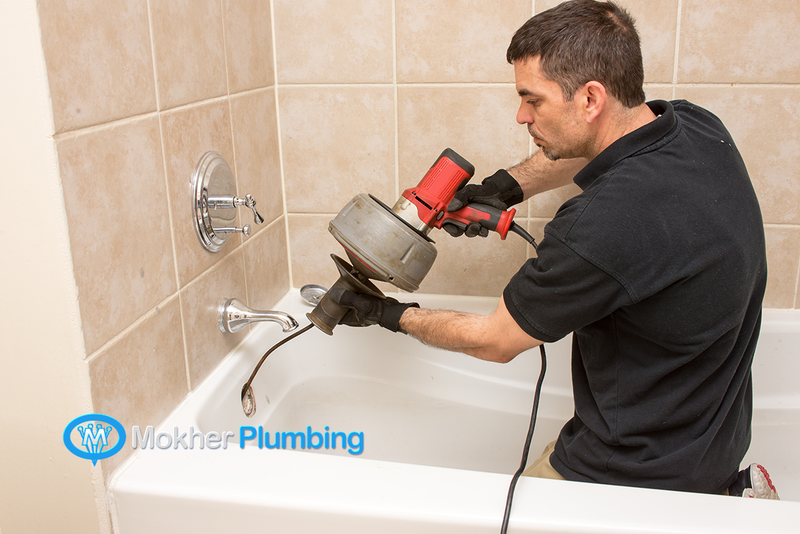 Take action today by making an appointment today with Mokher Plumbing! Have you ever heard of professional drain cleaning? Homeowners often wonder if it’s necessary. Professional drain cleaning is a process that a professional plumber does to clean the drains in homes within the United States. Drains can become clogged for many reasons, the most common are hair, cooking oil, food and mineral buildup. These substances are often difficult to remove by simply doing the standard procedure to unclog a drain. Professional drain cleaning removes the items mentioned above and provides the following benefits. You Save Money – Saving money is one topic all homeowners like to hear. It is true that a plumbing service will charge a fee to professionally clean the drain, but it’s going to save you a lot of money in the long run. For example, you might have experienced a clogged drain in your home at some point. You probably ran out to the local store and purchased liquid cleansers that promise to unclog the drain. But, the first bottle didn’t work. So, you went out and purchased a few more, plus a plunger. Then in the process of unclogging the drain, you most likely damaged your pipes with all of the harsh chemicals in the liquid cleansers. Then you had to pay more money to fix or replace the pipes. All of this surely costs more than getting a professional drain cleaning. Lessens the Risk of Clogged Drains – Clogged drains can become a larger problem if not fixed immediately. Have you ever had a clogged drain that overflowed into the bathroom or kitchen? Did it ruin your floors? Or cause mildew to grow? These are common issues that arise from a clogged drain. A professional drain cleaning will lessen the risk of frequently clogged drains. Prevent Mildew and Bacteria Buildup – A hidden problem that many homeowners don’t think about is that bacteria and mildew grow at a rapid pace. This means if you have a clogged drain for five days and you don’t fix it, bacteria and mildew are most likely growing. This causes odor and exposure to harmful bacteria. A professional drain cleaning will remove all sludge, mildew, and bacteria from the drain. Clogged drains should be taken care of immediately. As a homeowner, you know that one small problem can cause many larger problems throughout your home. It’s best to fix issues as quickly as possible to prevent an expensive situation later. 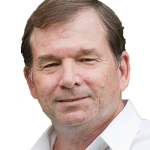 Take action today and contact me, Chip Mokher for further assistance. 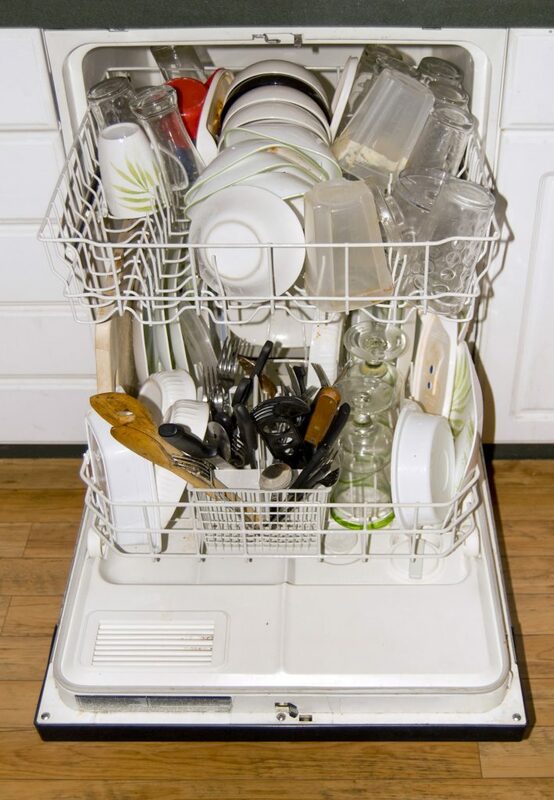 Homeowners that have a dishwasher understand just how important this appliance is to their family. It saves time and energy, and sometimes it even saves money. Dishwashers have become a must-have appliance for most homeowners. But, some wonder how to care for their dishwasher to assure it lasts many years. Consider the valuable tips below when taking care of your dishwasher. Avoid Overloading – Homeowner’s with a large family or those that use a lot of dishes and cookware often overload their dishwasher. Stuffing your dishwasher with too many dishes, pots, pans and silverware will prevent the dishes from becoming clean. The overcrowding prevents proper placement and causes restricted spray patterns. Meaning the water doesn’t reach all the dishes. The main sign that you are overloading the dishwasher is the appearance of food particles still stuck to the dish. Clean the Filter – Most dishwasher models have the filter located under the lower spray arm or near the bottom of the machine. The owner’s manual will explain exactly where the filter is located on your specific dishwasher model. It is essential to follow the directions of the owner’s manual when cleaning the filter. Repair Dish Racks – Since most dishwashers are used daily they begin to ware quite quickly. It is important to repair dish racks as soon as possible. Avoiding repair can cause the damaged area to corrode and rust. Small rust particles can break lose during the wash cycle and spread all over your dishes, pots, pans and silverware. This is especially dangerous because some particles can be so tiny you can barely see them. This allows them to mix in with your food and expose the entire family to consuming metal fragments without realizing it. Repair Broken Components – Hidden components of the dishwasher can become damaged or have problems. It is essential that you refer to the owner’s manual to learn more about troubleshooting your dishwasher model. If you find that the issue is serious, contact a professional plumber immediately for further assistance. Avoiding dishwasher repair can cause serious issues that can lead to an expensive bill or total replacement of the appliance. Conducting regular maintenance such as a quick cleaning of the inside of the washer as well as the filter can help prolong the lifetime of the dishwasher. Never touch or repair electrical components on your own. Always contact a plumber for further assistance.